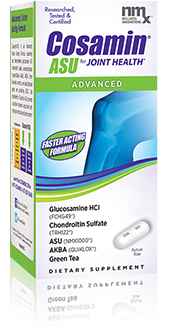 Our advanced, faster acting formula, Cosamin ASU includes a combination of ingredients that works faster than glucosamine alone. 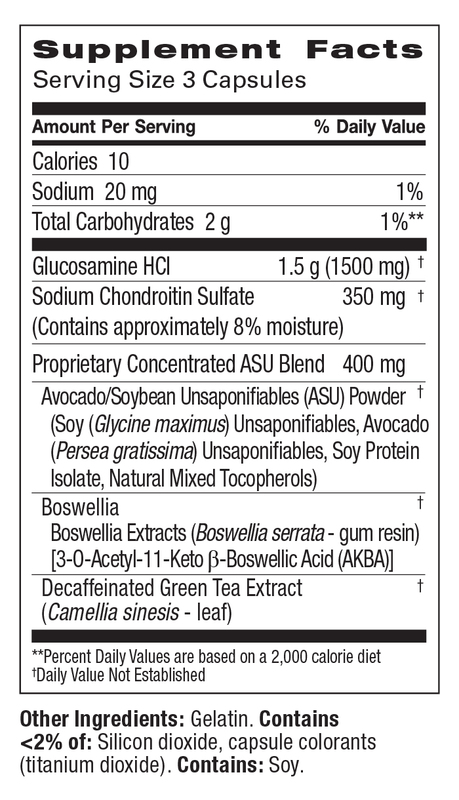 It’s formulated with our trademarked glucosamine HCl, chondroitin sulfate, avocado/soybean unsaponifiables (ASU), AKBA (from Boswellia serrata), and decaffeinated green tea extract providing EGCG. 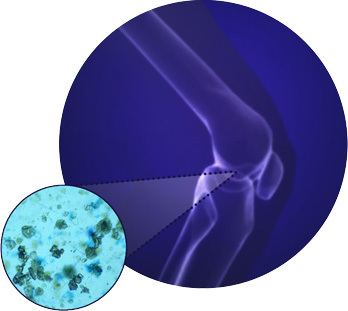 These active ingredients work together to decrease the markers associated with cartilage breakdown and joint discomfort. Cosamin ASU has been rigorously tested for purity by both independent testing facilities and our own Quality Control, to meet our high standards and yours. 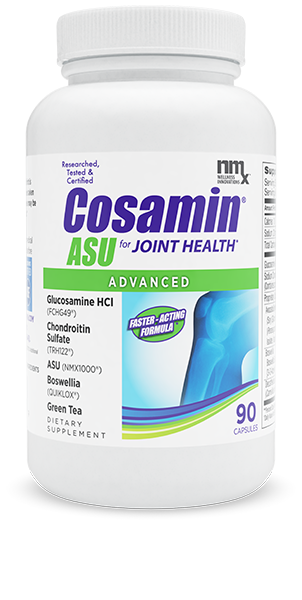 One serving of Cosamin ASU contains 1500 mg (1.5 g) of FCHG49® Glucosamine HCl, 350 mg of TRH122® Chondroitin Sulfate, and 400 mg of a proprietary blend of NMX1000® ASU, QUIKLOX® AKBA, and decaffeinated Green Tea extract providing the antioxidant polyphenol, EGCG. If you have any condition that requires medical attention always consult your physician before taking any dietary supplement. "Cosamin is consistent, it helps me on a daily basis. I love Cosamin®ASU. It works!"